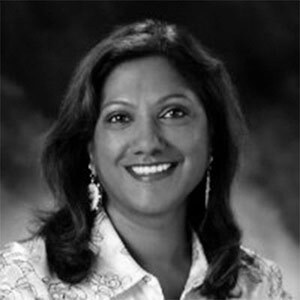 Nithya A. Ruff is the Senior Director for Comcast’s Open Source Practice. As such she is responsible for growing Open Source culture inside of Comcast and engagement with external communities. Prior to this, she started and grew the Western Digital’s Open Source Strategy Office. She first glimpsed the power of open source while at SGI in the 90s and has been building bridges between hardware developers and the open source community ever since. She’s also held leadership positions at Wind River (an Intel Company), Synopsys, Avaya, Tripwire and Eastman Kodak. At Wind River, she led a team of product managers in managing a world class embedded Linux distribution and was a key member of the Yocto Project advocacy team on the board. Nithya has been a passionate advocate and a speaker for opening doors to new people in Open Source for many years. She has also been a promoter of valuing diverse ways of contributing to open source such as in marketing, legal and community. You can often find her on social media promoting dialogue on diversity and open source. She has spoken at multiple conferences such as OSCON, All things Open, SCALE, Grace Hopper, OpenStack and Red Hat Summit on the business and community of open source. In recognition of her work in open source both on the business and community side, she was named to CIO magazine’s most influential women in open source list. Nithya graduated with an MS in Computer Science from NDSU and an MBA from the University of Rochester, Simon Business School. She lives in the bay area and is a proud mother of two daughters. You can follow her on twitter @nithyaruff.